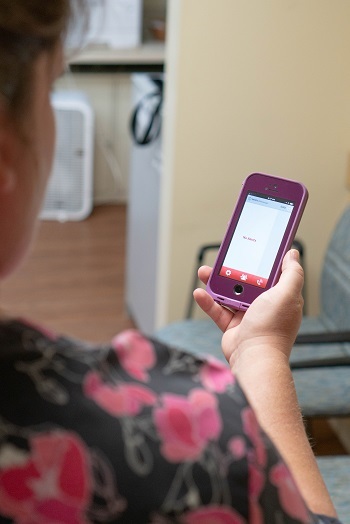 Providers who have been through natural disasters and other crises understand how easy, reliable communication technology makes coping with trouble dramatically easier. Good leaders prepare for the worst with a plan. This is a fact the team at Bishop Gadsden in Charleston, SC, learned firsthand, and in a big way. The life plan community dealt with hurricanes in 2016 and 2017, followed by a 2018 New Year’s holiday ice and snow storm. But with the help of an emergency communications strategy refined after the first hurricane, the community proved its ability to keep its 540 residents and 420 staff safe. Borts has an overriding message: An aging services provider can never over-communicate. And this doesn’t just apply to its residents, but also their families and staff. The leadership team created a robust on-site emergency communications infrastructure to achieve such a standard. As with a lot of initiatives these days, the organization’s strategy focused on how to deploy its residents’ data if they should not be able to be on campus. In the event of Hurricane Mathews, a 2016 category 5 storm that caused $15 billion in damage, residents were evacuated. Instead of the standard 72-hour warning, Hurricane Mathew afforded only 48-hour notice for evacuation. With updated and correct information for all ambulatory residents, the staff was able to ensure a safe evacuation. 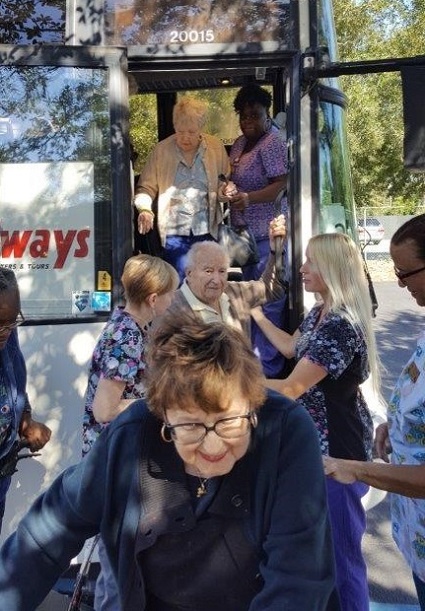 At the same time, residents in assisted living, skilled care and memory care had to be loaded on buses with their luggage and moved out of the area. This first hurricane learning experience served the organization well soon afterward. “In times of emergency or crises, people all want to be helpful,” Borts says. “But unfortunately, messages can get muddled. So, it’s important to have one voice, one contact so that if anyone has any questions, they get the same answer that everyone else is getting." This meant including the same messaging on social media and the website, and explaining when the next emergency update would be issued, she adds. Right before Hurricane Irma (another category 5 storm) last year, Bishop Gadsden was able to obtain a decree to allow residents to shelter in place, in part based on its emergency communications plan. Things went smoother during that event. Then the ice and snow storm hit January 3. With an updated email platform in place, as well as a mass call-out phone system and an emergency phone line with the same message, things went better. The community had also deployed locator and tracking pendants by Invonics for each resident. This enabled the staff to ensure residents complied with the emergency communications. For those who did not use smart devices, printed flyers were also dispersed to each resident. The emergency communications plan worked. As unaccustomed as the residents were to ice, not one person fell over the 3 days. Hurricane Irma in 2017. Photo courtesy of Bishop Gadsden. Not only did these solutions help them weather the 2 most recent storms, but it also has improved the quality of day-to-day life in the community. In the past 2.5 years since the pendant system was adopted, Borts reports that 3 times they had to activate the locator feature to find a resident. This included an incident where a resident did not return at the usual time from an evening walk near a pond. With alligators a fact of life in the Deep South's wetlands and ponds (Bishop Gadsden is proactive in having the animals removed), there was a concern. With the pendant, the staff located the resident who had decided to linger to enjoy the evening—and was fine. To improve its emergency plan and put the pendant system in place, Bishop Gadsden turned to Status Solutions, a company that enables risk management via situational awareness technologies. According to Danielle Myers, general manager, rapidly evolving technology creates opportunities in emergency communications. She says the days of loud alarms sounding and staff trying to use their best judgment on how to exit a building are passé. While she says each customer is different, there are some common needs—and it’s not just about technology. The first is overcoming a “check-it-off-the-list mentality” that there’s a plan in place—but a plan that’s never been seriously tested. An emergency communications plan must be a living, active process to adapt to changing threats and circumstances; this includes making residents part of the planning. The second is taking advantage of screens to create a redundant situation so that no one can miss an alert—whether on a television, a phone or a computer. Such "situational awareness," as she terms it, originated in the military. But, she stresses, it doesn’t just apply to life plan communities, but also open, public places such as schools and hospitals. It means providing the right event notification, to the right people, at the right time. pendant. Photo courtesy of Moravian Manor. 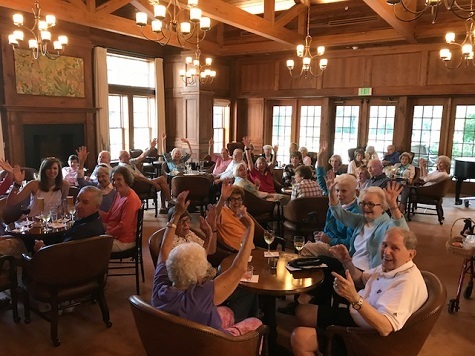 Moravian Manor, a life plan community in Lititz, PA, has a large number of Alzheimer’s and skilled nursing residents. Management also uses a pendant and repeater system to locate residents in the event of an emergency. Jon Sauder, director of information services, says there are many other emergency communication opportunities. The possibilities range from monitoring water temperature to prevent it from getting too hot, making sure refrigerators stay cold, and even configuring a video feed to a resident’s phone in the event of an emergency. Also, it’s not just a system for assisted, skilled and memory care patients. Emergency communication technology is very adaptable to be useful to independent-living residents.